There is a known bug in iOS that sometimes prevents Forget This Network option under the iPhone wireless network options from appearing. 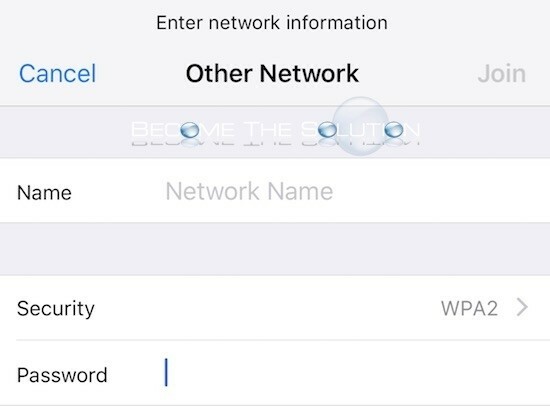 If your iPhone connects to a wireless network you had connected to automatically, clicking info reveals no option for forget this network. This annoying issue forces you to disconnect your iPhone wireless completely in order to disconnect from the wireless network. Here are the steps to bring back the Forget This Network option. Toggle the iPhone wireless on and off. Go to Settings -> Wi-Fi and disable Wi-Fi for 5 seconds, then re-enable Wi-Fi. 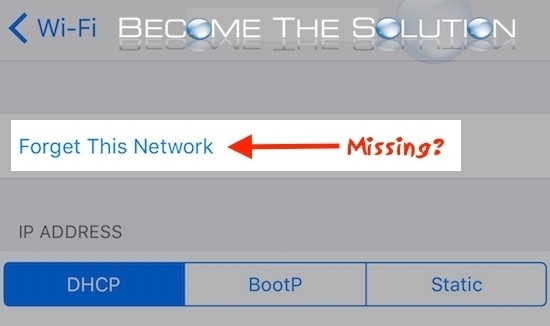 While still in the iPhone Wi-Fi settings, we now need to connect to an Other… wireless network. This can be a wireless network at your home – but we have to connect it doing this method in order to restore the Forget This Network option. After connecting to the wireless network, tap the “i” icon next to the wireless network name. You should now see the Forget This Network option again. If this did or did not work for you, please let us know using the comments form below. Doesn't work. My iPhone8 won't permit login to network, even though I took the password from wife's iPhone8. I cannot connect to the network. Won’t work. There are networks on my phone I’ve never been connected to (like neighbors) never have and never will have a PW to connect to them to ‘restore’ this feature. I CAN’T get rid of them!!! Agreed. This "seemed" to work, but the problem immediately returned (forget this network was visible for a while, but then it "disappeared"). So much for Apple's perceived "reliability".